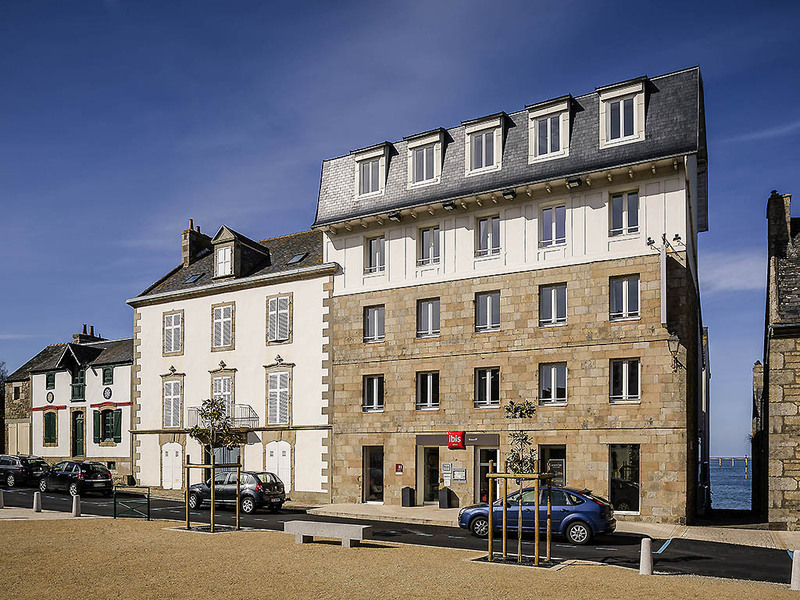 The ibis Roscoff hotel is ideally located on the seafront in the heart of the old town, opposite the Ile de Batz, 5 minutes from the ferry port (ferries to Plymouth and Cork) and close to the beaches and a thalassotherapy center. The 45 rooms, including s ome with sea views and 2 suitable for people with reduced mobility, guarantee you a pleasant stay whether for business or leisure. The hotel has a bar serving snacks 24 hours a day, free WIFI connection and blue zone parking. Roscoff is a small town full of character. On the coast, city center, opposite the church. 5 minutes from the marine spas, the beaches and the Brittany Ferries terminal. Rooms with a sea view and family rooms available for a supplement.